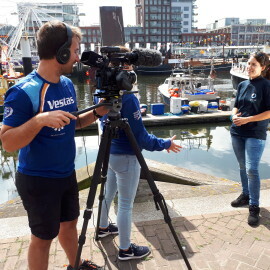 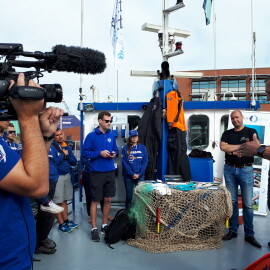 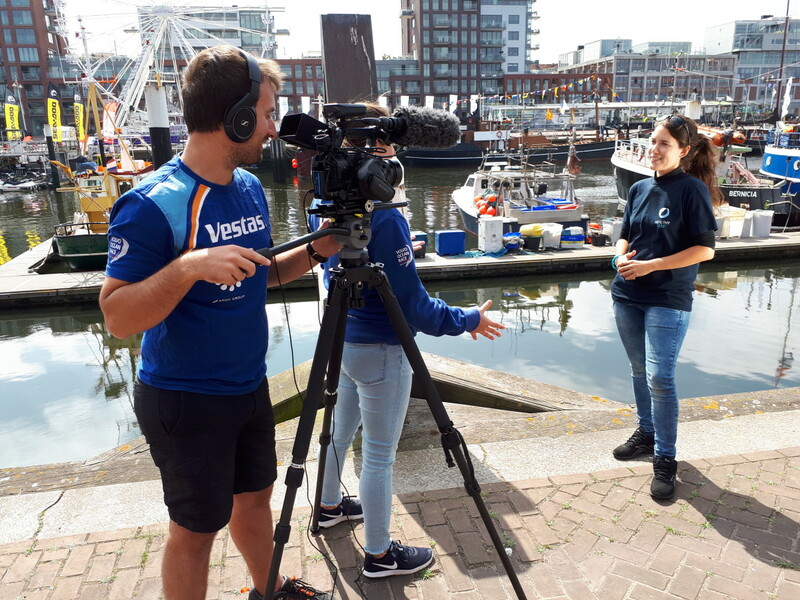 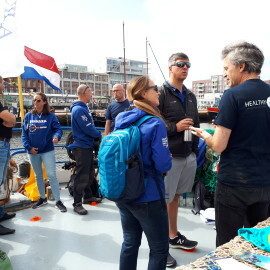 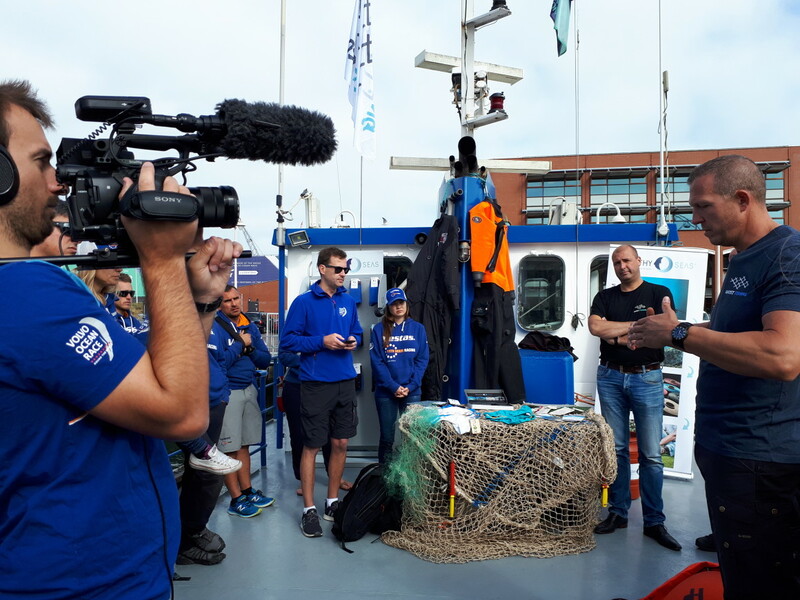 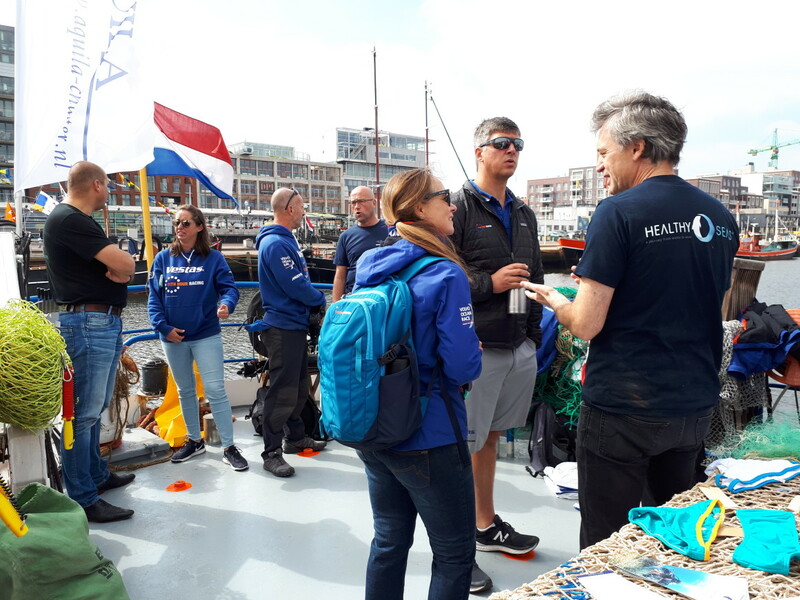 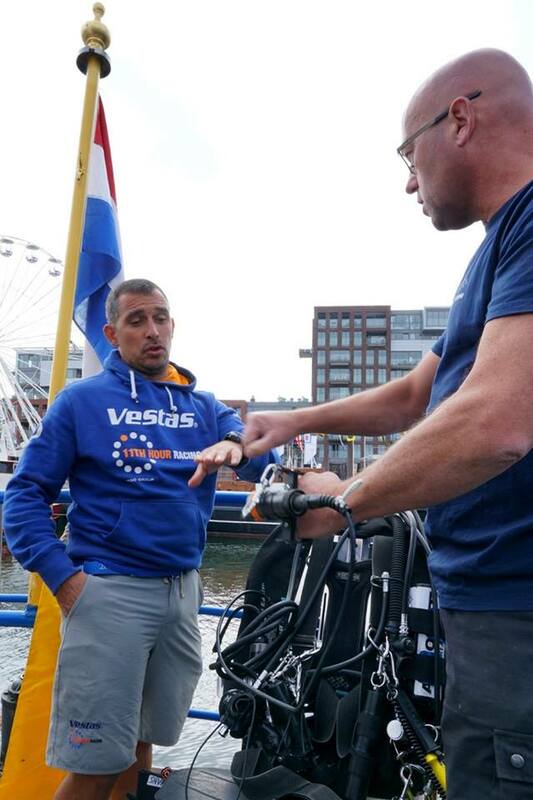 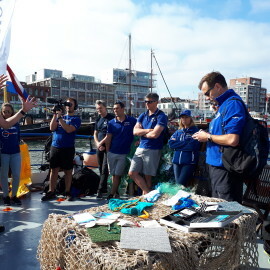 At the last stopover of the 2017-18 Volvo Ocean Race, team members from Vestas 11th Hour Racing spent the morning on a dive vessel meeting with staff and volunteers of Healthy Seas. 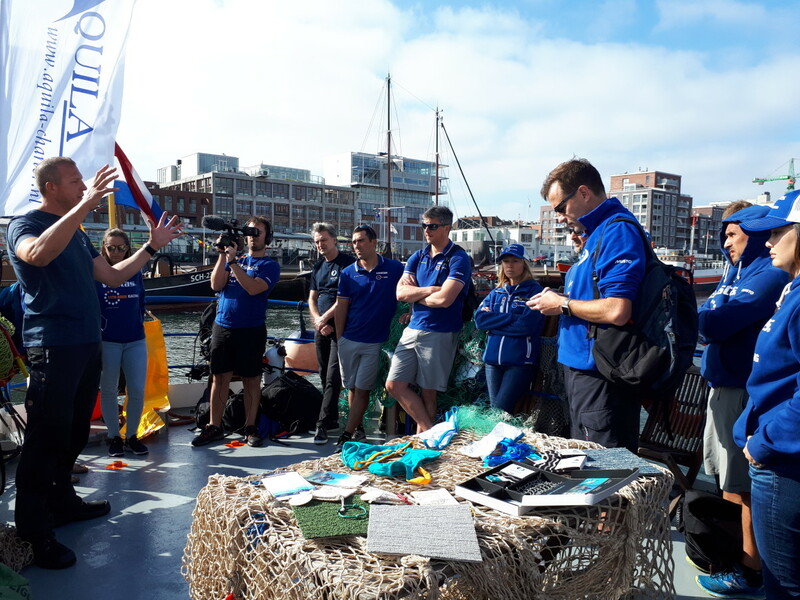 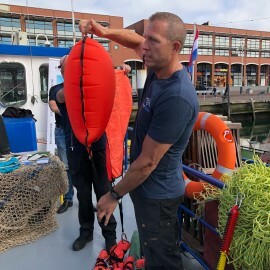 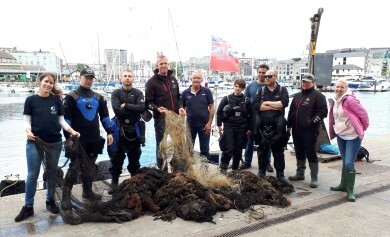 Sailors took time before heading home to learn about ‘ghost gear’ and the circular economy. 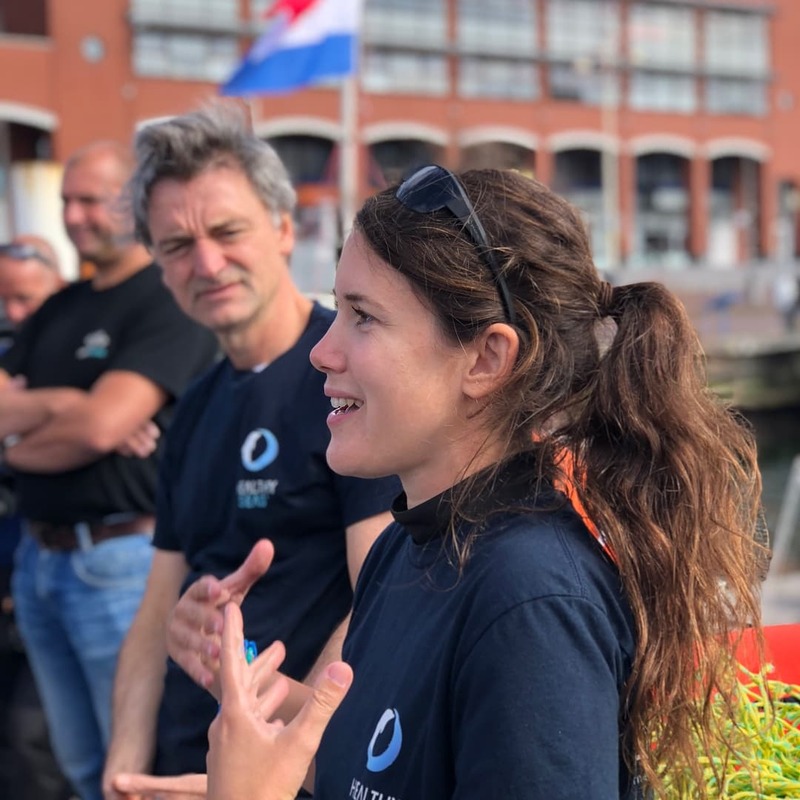 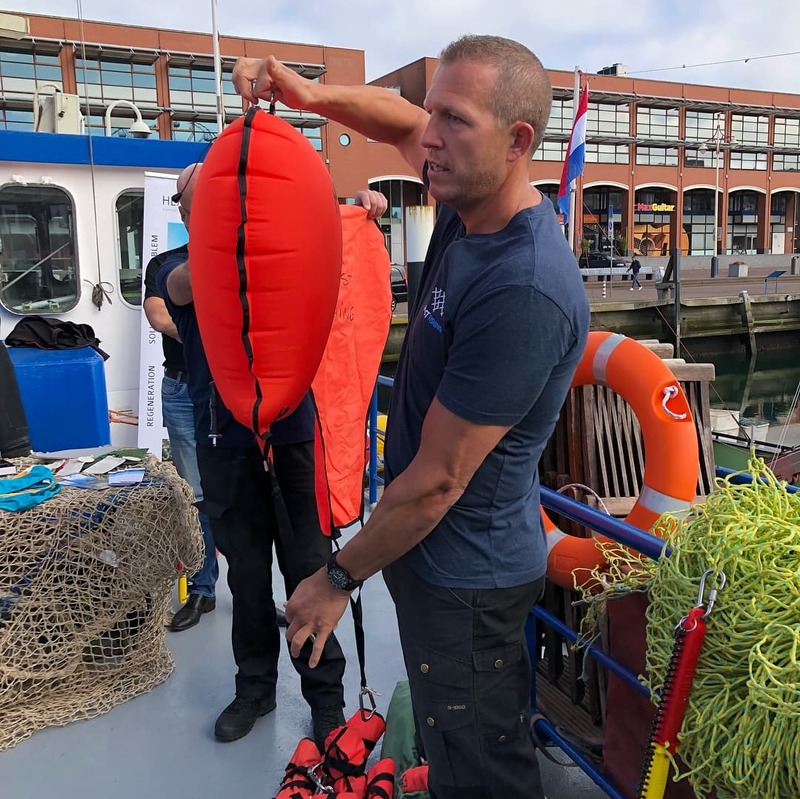 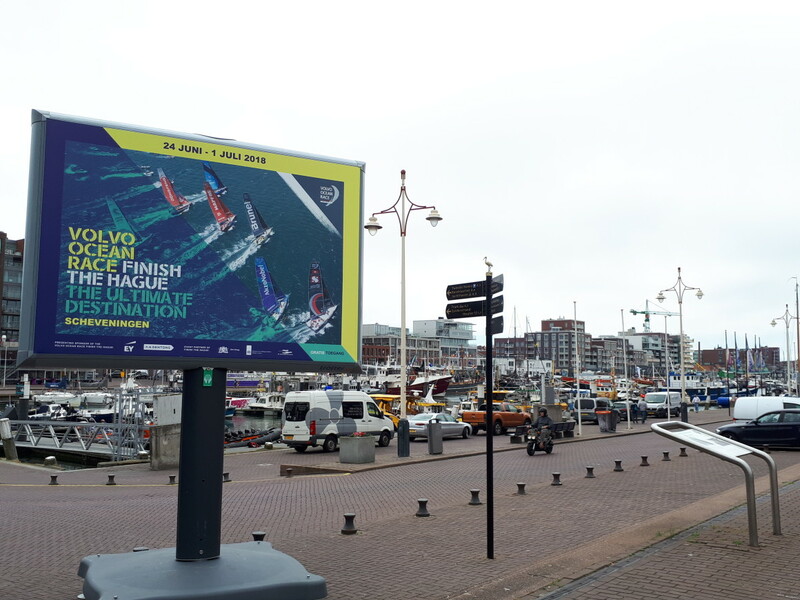 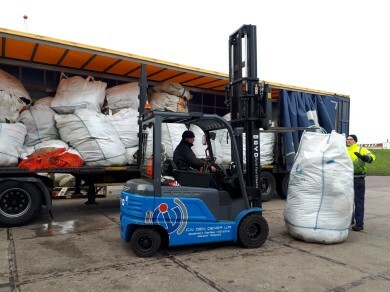 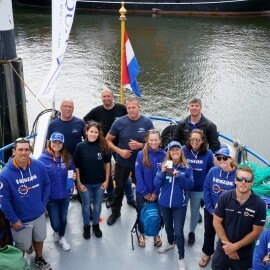 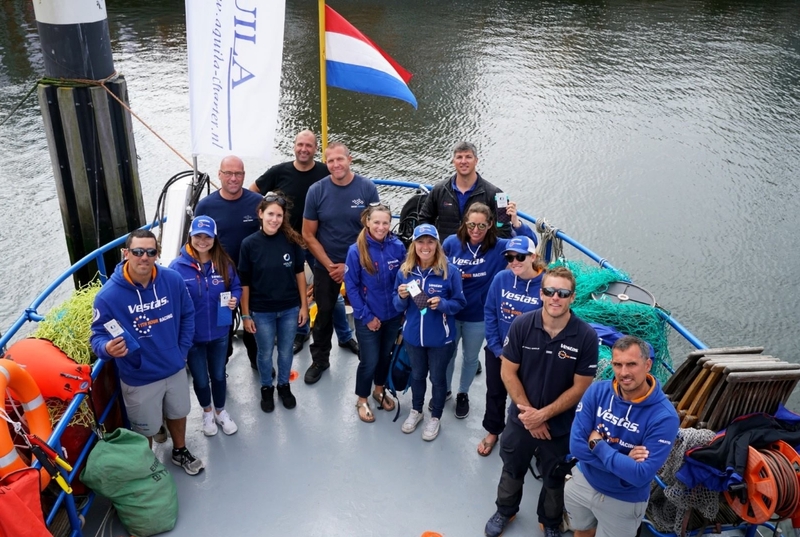 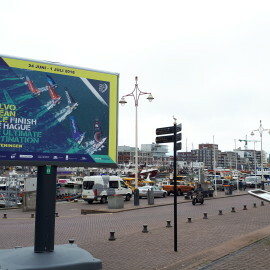 This is the final and twelfth grant awarded by 11th Hour Racing during the Volvo Ocean Race, with the team choosing a local environmental issue to focus on at each host city. 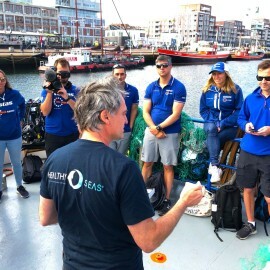 From sustainable seafood to water scarcity, to sea level rise, each stopover has highlighted one of the issues that threaten our oceans, and the work that is being carried out to solve these problems. 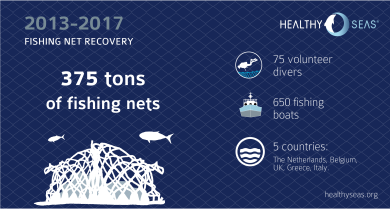 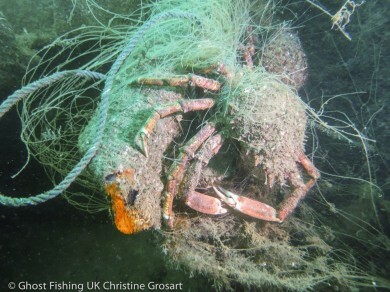 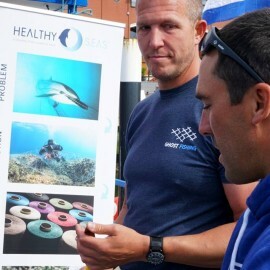 With the help and expertise of volunteer divers from Ghost Fishing, Healthy Seas has removed 375 tons of fishing nets in 5 years – by extracting the nets, the divers are not only getting rid of marine debris, but they are also freeing fish and crustaceans, and preventing the death of marine mammals and sea turtles. 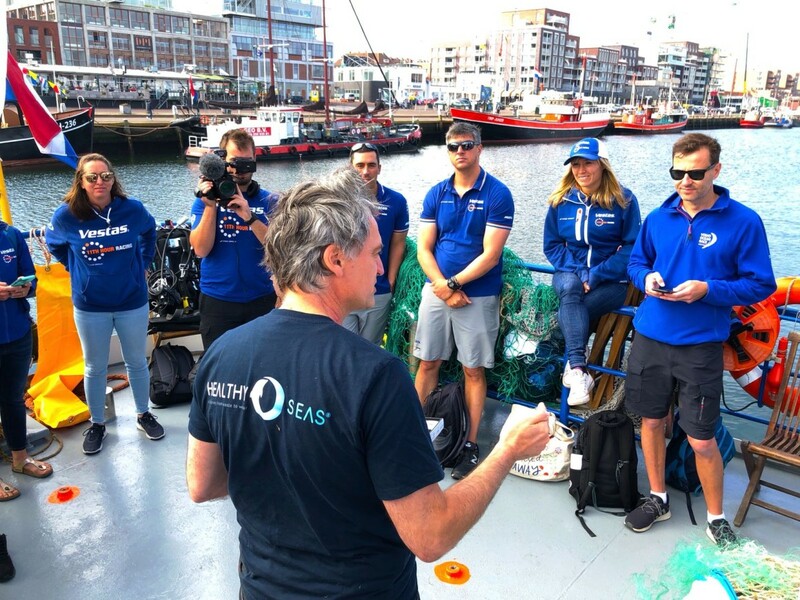 Healthy Seas is an excellent example of non-profits and industry working together for the same aim: a better planet and healthier seas, while learning-by-doing and being open to new partners and creative ideas. 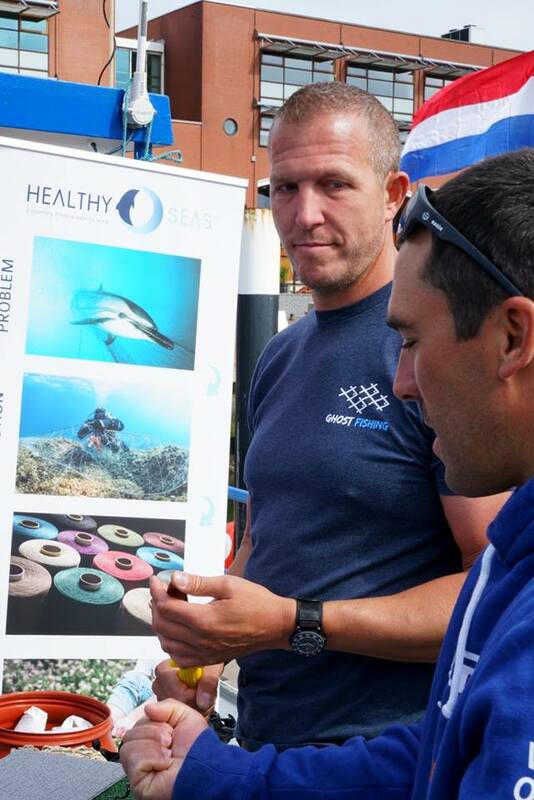 Even if you live miles from the coast, what you purchase can help contribute to the health of our oceans. 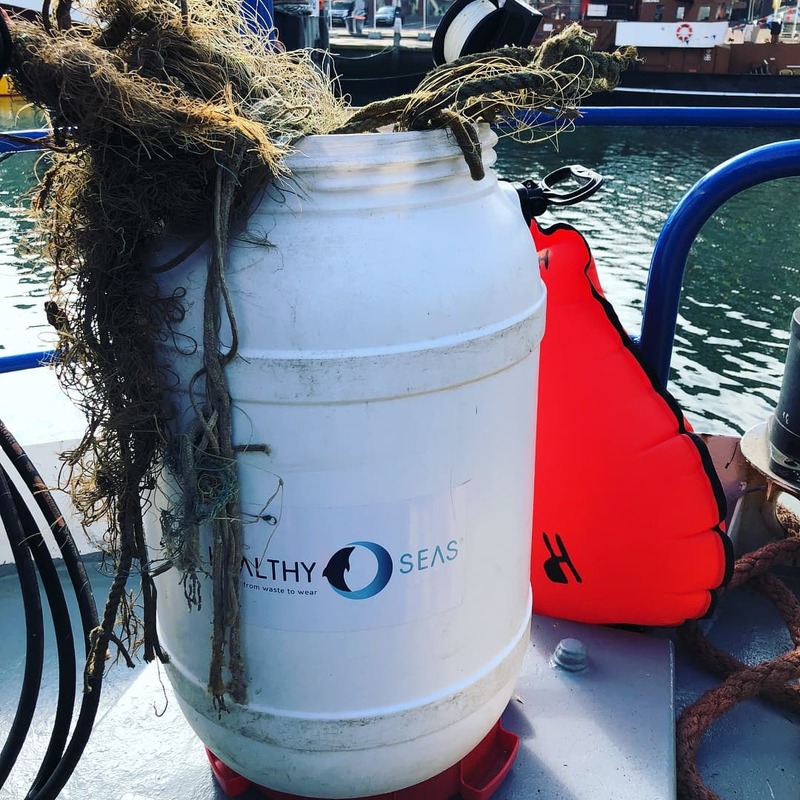 Buying a product made from recycled material instead of virgin materials is a simple way to reduce your impact on the planet. 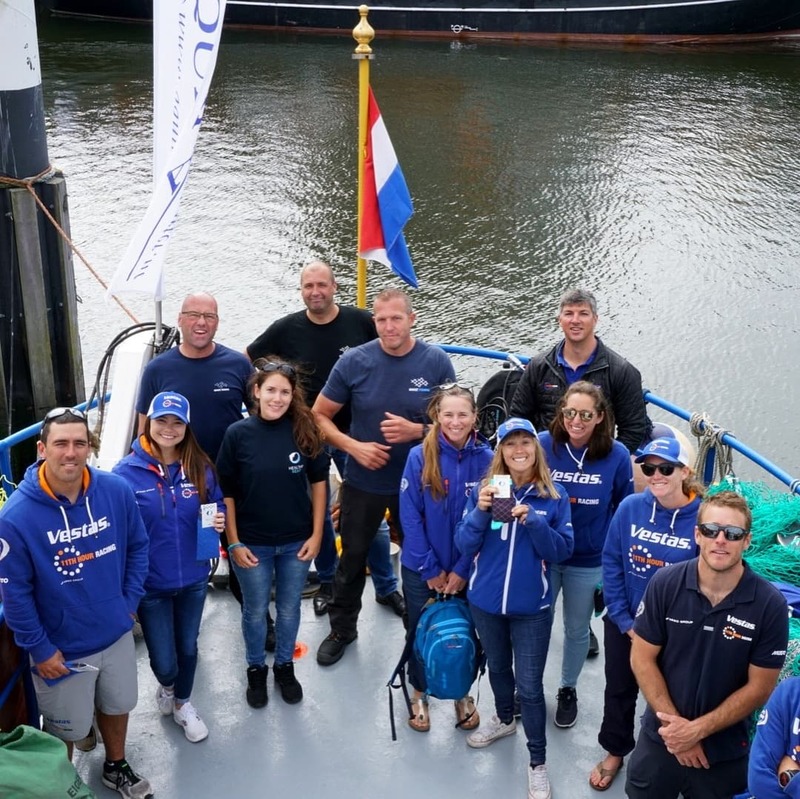 Share the post "Healthy Seas is Vestas 11th Hour Racing Final Grantee"